Lock in a great price for Best Western Plus Up Hotel & Bar – rated 8.7 by recent guests! Staff was very friendly. A/C was not working in some of the rooms; however, the staff was very helpful in finding us a room with A/C. 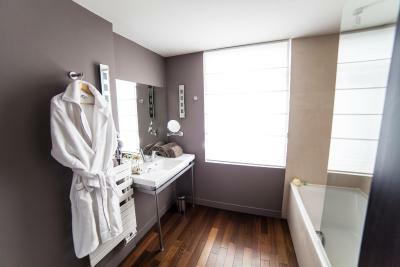 Gives a good value for money, luxury room with great bathroom. Nice bar and breakfast smack in the heart of the city of Lille. Friendly english speaking staff (when we where there) and that is a great bonus in France! Very calm, express check in/ checkout. Very helpful staff. Super clean rooms. Confy beds. Good "quick meals" at the lobby level. Excellent value for money! How quiet it was comparing its location. The breakfast was unexoectedly nice. Checking in was such a pleasure. The man at the front desk was so kind, helpful and charming. Very comfortable beds. Near train station, quiet, toiletries are tip-top. Nespresso machine and water bottle. Iphone compatible alarm clock. Romantic low lights. One of our best sellers in Lille! 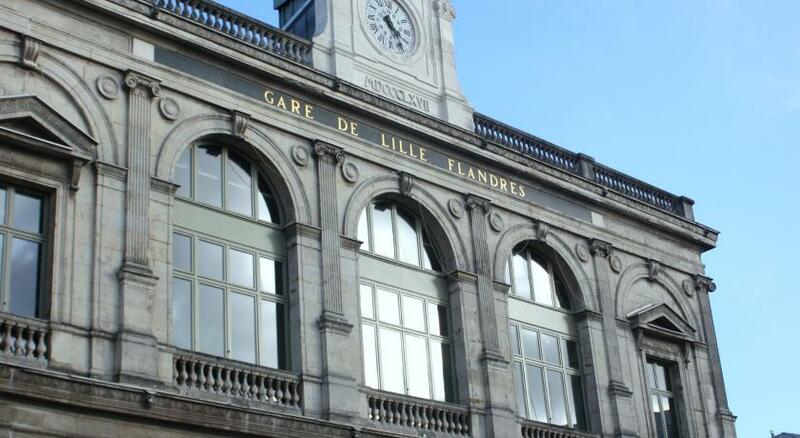 Located in central Lille, this design hotel is just 850 feet from Lille-Flandres Train Station and 2,150 feet from Lille-Europe Train Station. 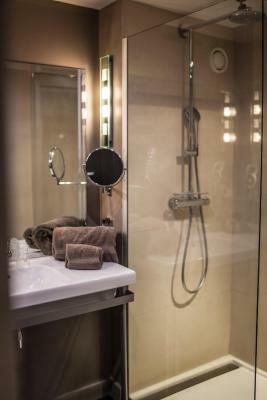 It offers stylish guest rooms with a wide-screen LCD TV and free Wi-Fi access. The soundproofed guest rooms feature a queen-size bed and a work desk. 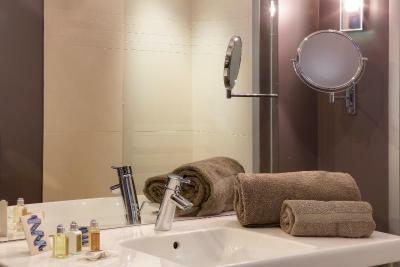 The private bathrooms include bathrobes and L’Occitane amenities. 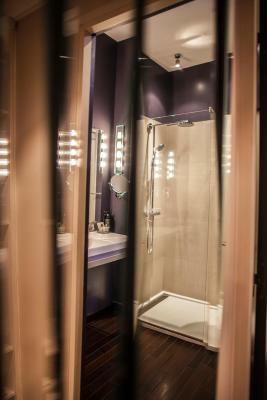 All rooms at the Hotel Up are serviced by a elevator. A buffet breakfast is served every morning at Hotel Up. Guests can enjoy a drink in the hotel bar while reading the newspapers provided. 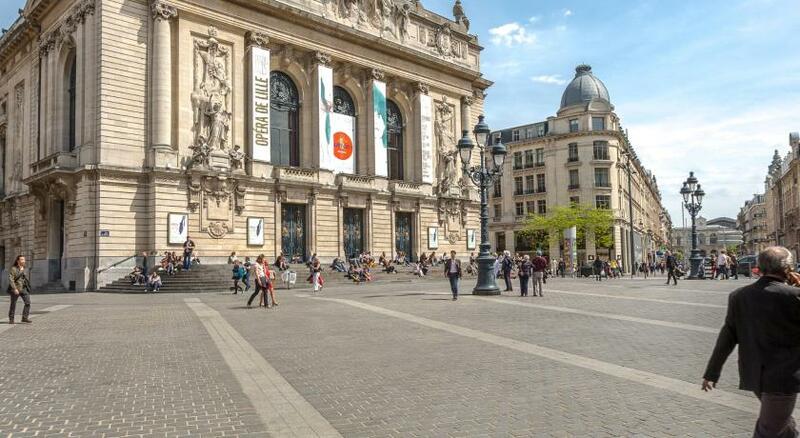 Nouveau Siecle Convention Center is 1,500 feet from the property, while Lille Grand Palais is 1.2 mi away. 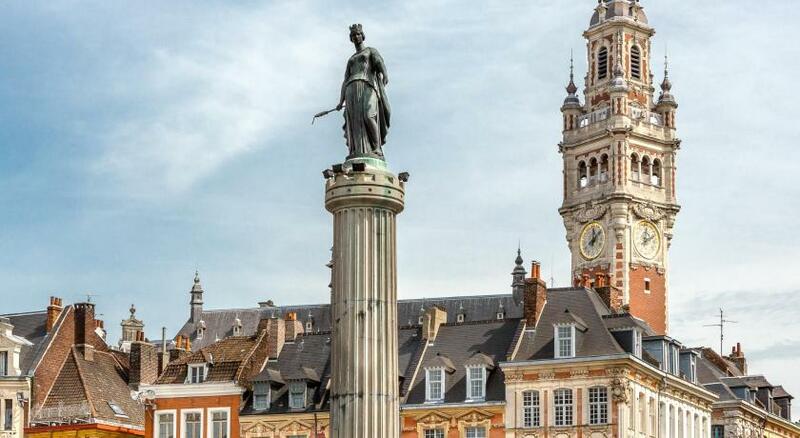 The Opera is 1,150 feet from the hotel and Lille Citadelle is a 20-minute walk away. Pierre Mauroy Stadium is a 18-minute drive from Best Western Up Hotel. Public parking is available nearby. When would you like to stay at Best Western Plus Up Hotel & Bar? Hotel surroundings – This neighborhood is a great choice for travelers interested in shopping, museums and food – Check location Great location - show map Guests loved walking around the neighborhood! 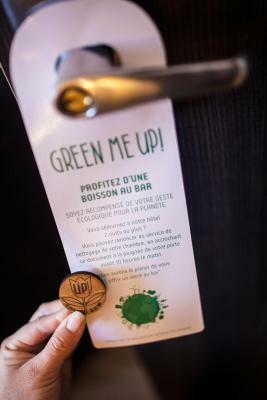 House Rules Best Western Plus Up Hotel & Bar takes special requests – add in the next step! Best Western Plus Up Hotel &amp; Bar accepts these cards and reserves the right to temporarily hold an amount prior to arrival. Best Western Plus Up Hotel & Bar accepts these cards and reserves the right to temporarily hold an amount prior to arrival. Temperature control in the room was not possible + the airco/heating was noisy. I'm sure that can be fixed easily. The drain in the shower was working badly. All the rest was excellent. Great clean room, coffee machine in the room, good quality shampoo and shower gel, nice bedsheets. Lobby is small but nice, bar downstairs. Very central, just round the corner from the railway station Lille Europe. Noise issues, some rooms have windows onto an internal brick courtyard where the bar's extractor fan rumbles noisily even when windows are shut. We asked for it to be switched off a few times and the staff were kind and obliged, but a bit of a pain. I'd requested a quiet room when booking and the manager had replied to ensure it, so I expected better. Also on Saturday night you can hear the noise from the hotel bar from the first floor rooms, they quietened down after 1am or so. Some footfall from above rooms. Basically bring some earplugs if you're a light sleeper! Easy walking distance to main sights and town, really friendly staff and clean well-equipped rooms. There could be more food choice within the bar / room service menu. Not much to eat whilst staying in the hotel. Very friendly staff. Breakfast was great with a lot of choice and well presented. 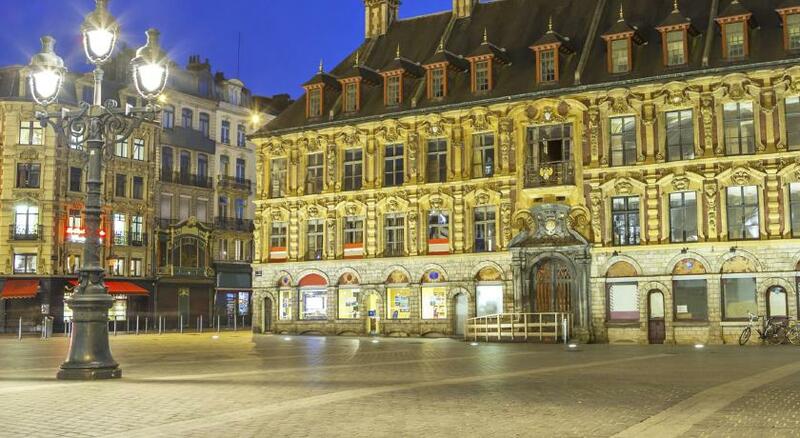 Great location only minutes walk from both the Eurostar and Lille Flandres train station. A bit of a dodgy location but only 2 blocks away from main areas. A bit noisy between floors but no noise from outside. Small but comfortable rooms. 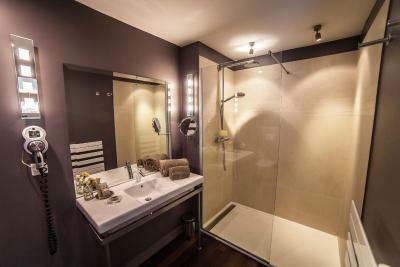 Spacious bathroom with excellent shower. Real comfortable bed and different kinds of pillows, something for everyone. Friendly girl at checkin. Parking nearby in a guarded garage. We did not use breakfast at €16 for a minimal buffet. It was in a very good location near the christmas market and shops and also near the train station. We thought the hotel was very good and the receptionist was very friendly and helpful. 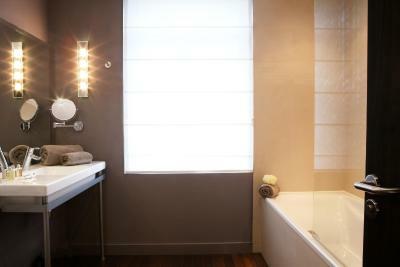 Great bathroom and very lovely staff!! Very good breakfast!